The new MA6700 is a solid-state integrated amplifier combining amp and preamp functionality, along with a DAC and MM/MC phono stage, in an unmistakably McIntosh chassis. 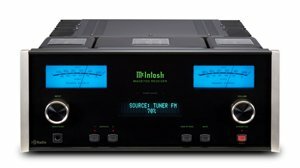 The optional AM/FM radio module effectively makes the MA6700 McIntosh’s first receiver since 1993. The dual-layer-chassis MA6700 offers plenty of flexibility and has been designed to act as a centrepiece or ‘hub’, in a music system. It contains loads of inputs and includes McIntosh’s new internal High Drive headphone amplifier. The 200-watt MA6700’s preamp section features a total of eleven inputs including coaxial and optical input, plus a dedicated asynchronous USB 2.0 input (operating at up to 32-bit). 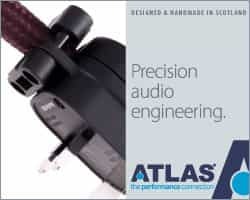 The MA6700 has a dedicated phono section for Moving Magnet and Moving. The MA6700’s Home Theatre Pass Through feature allows integration into existing multichannel systems and an optional AM/FM tuner module (£800), featuring the same technology as McIntosh’s standalone tuners, brings radio playback to the amp. The optional module offers 20 presets for each radio band, as well as a remote AM antenna. The amplifier also offers bypassable tone controls (bass and treble) plus assignable inputs. RS232 control is also offered, along with rear-panel system data and power controls. At 34kg and 200 watts per channel, the amplifier has enough power to properly drive virtually all loudspeakers McIntosh say. products, the MA6700 is skilfully handcrafted in the Binghamton, NY factory and boasts classic styling with contemporary features and technology. The MA6700 sells for £7,295 and is available now. 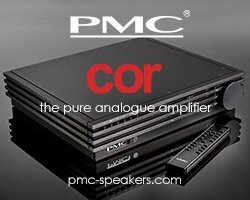 The optional AM/FM module is priced at £800.